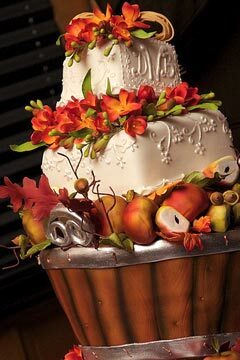 Fruit and the golden leaves of the fall adorn the tiers of the autumn wedding cake. 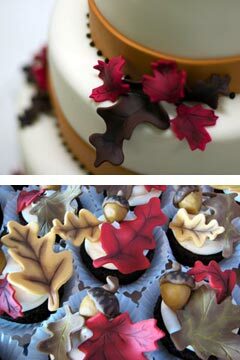 Anyone who has ever wallked the forest in the autumn months knows of the beautiful golden leaves that crunch underfoot. 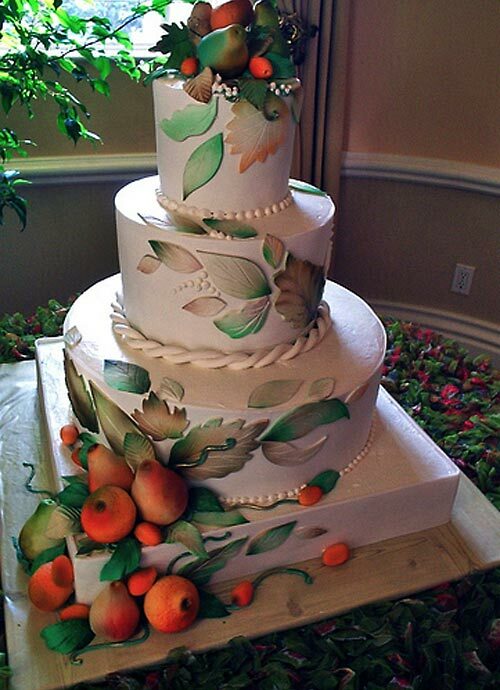 Of course, it isn't all about decaying vegetation. 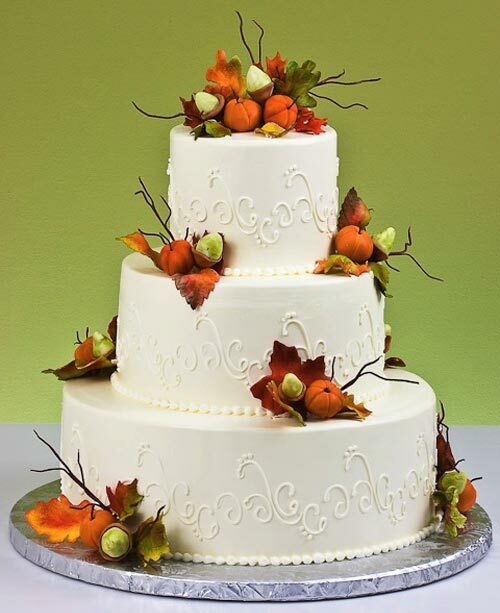 The dark berries and jaggedy pine cones and leaves that garnish the fall autumn wedding cake make a beautiful contrast to the fondant cake walls. 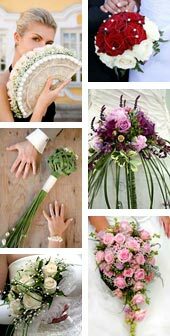 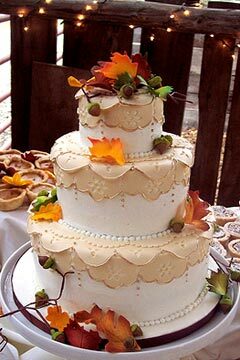 Fall wedding cake ideas usually have to do with the passing of the seasons. 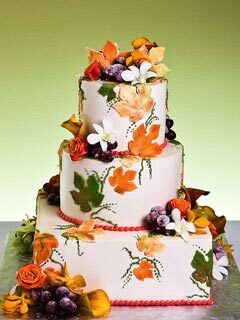 This may be because of the timing of the wedding, but fall themed wedding cakes may also speak of the age of the bride and groom. 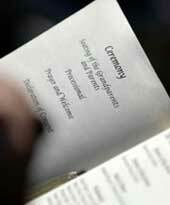 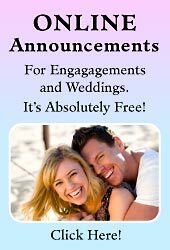 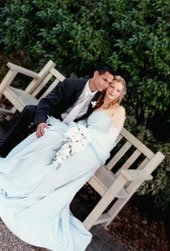 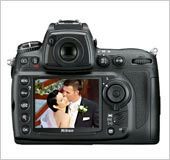 Not all newly wed couples are young. 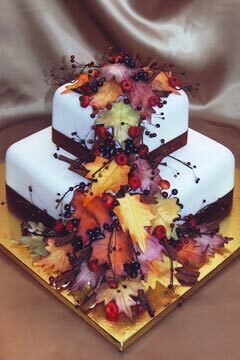 For some, love can bloom in the autumn of life, and fall wedding cakes with their fruit and autumn flowers speak of the bounty amid the forest floor of golden brown. 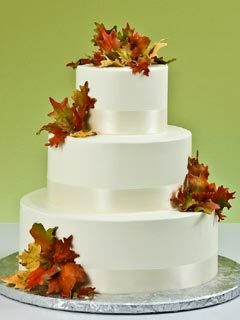 The fall wedding cake need not depend on the actual leaves of the autumn, they can be decorated with beautiful leaves of fondant and flowers of icing. 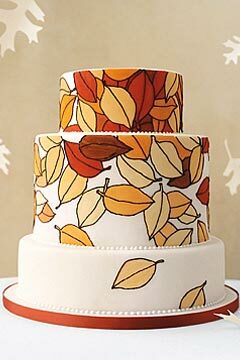 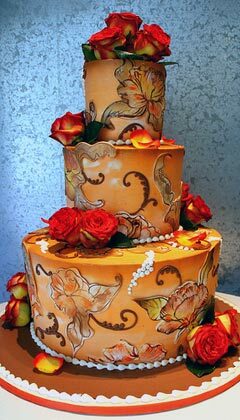 A skilled cake maker can transform fall themed wedding cakes into a work of art. 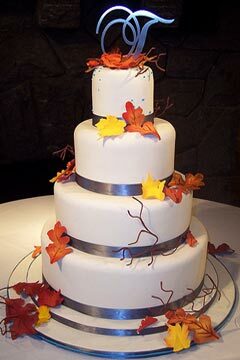 Some of the fall cakes depicted below represent the high point of wedding cake artistry. 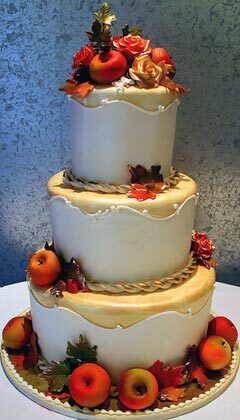 Feast you eyes on these amazing autumn, fall wedding cake pictures.